The pressure cooker can actually change your life! Not only it cooks food better, but it does it very quickly. People have so short on time these days; the pressure cooker seems to be the appropriate thing. It starts up a whole world of cooking you’d never have dreamt that you’d have time for. As the demand of pressure cooker is increasing over the time, pressure cooker manufacturers are developing their business as well. Just like you, I’m always looking for improved ways to prepare food and how it tastes. Using a pressure cooker helps me do just that. In this summer, it provides a way to cooking easily without increasing the temperature in the kitchen by heating up the oven. Today’s variety of safe pressure cookers adds to their versatility. You can get induction base pressure cooker for faster cooking too. 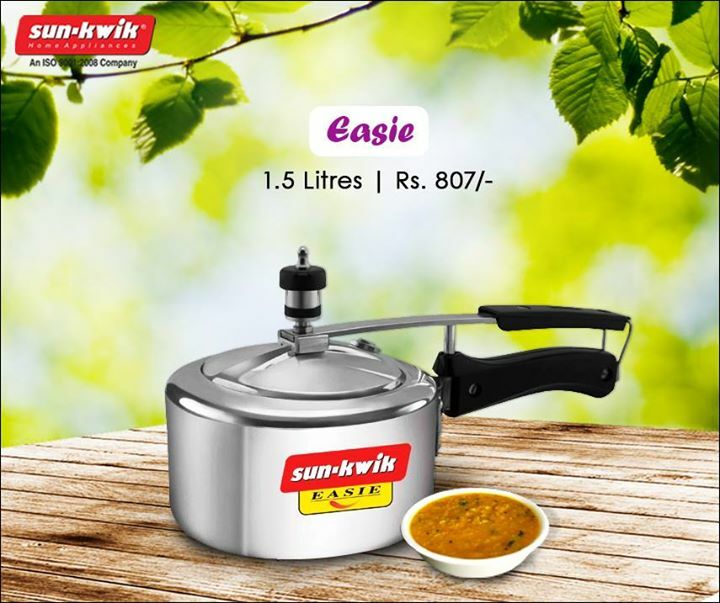 Pressure cookers are different from any other cooking pot or saucepans with a totally different cooking method. They lock in the steam inside which raises the heat and pressure to higher than normal points. It helps food to get tender and cooked much more quickly. The high pressure forces all the flavor spices into food and because no steam escapes, no flavor escapes either. You can make the best mash in the world because of pressure cooker. No need to peel and divide your potatoes. You can keep them whole in a pressure cooker, just prick them with forks. After steaming them for few minutes you just have to peel off their skins, and add some salt, pepper, and butter you’ll end up with the best ever potato mash. You can cook rice and daal constantly and easily. Boiled vegetables, Stews, Mussels are great in these cookers. You can get the taste of whatsoever herbs and spices you added for flavors, and all the veggies that usually take a while to cook normally, will be prepared in minutes. 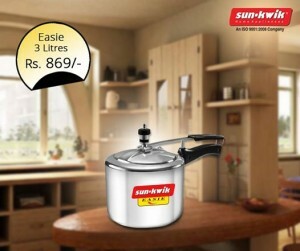 Pressure cookers are essential commodity of any household. It is necessary to whip any dishes when you have a very little time to spend in the kitchen. Are you planning for a new home? Are you about to hit the stores to shop for kitchen utensils but have no idea what will be the right pressure cooker for you? Not a problem. You are absolutely at the right place. Read on to know how to shop for the perfect pressure cooker. Pressure cookers serve best when you need to cook real quickly. It requires less liquid than traditional stove top cooking. The pressure makes it easier to reach a high temperature in a very short time, and that helps to cook in a very short time. But before going to buy the right pressure cooker, it will be a wise decision to become educated. 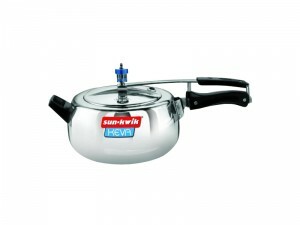 Aluminum pressure cooker is easily available in the market. They are extremely affordable as well. However, they are made of aluminum metal which is very soft. These cookers tend to get warped or blemished easily. That is why they do not last for a long time. On the other hand, stainless steel pressure cookers are stronger than their aluminum counterpart. They are hardy, durable, heavy and a little expensive than the aluminum ones. But the extra cost is worth it. The majority of people choose six quarts pressure cookers. The size always reflects the amount of liquid it requires. The extra space always needs to be filled with steam. When filled with liquid, a pressure cooker becomes heavy and hot. Look for sturdy, ergonomic handles. Choose the handles which are large enough to keep your hands away from getting burned. It is possible to release the pressure manually. But it is always nice and safe to have a cooker that has pressure releasing mechanism. Interlock is a must to keep you and your kitchen safe from unwanted accidents. There are some models that have system to check if the pressure has been released or not. Finding the right cooker for you isn’t that difficult. Use this knowledge while buying a cooker and you are good to go.